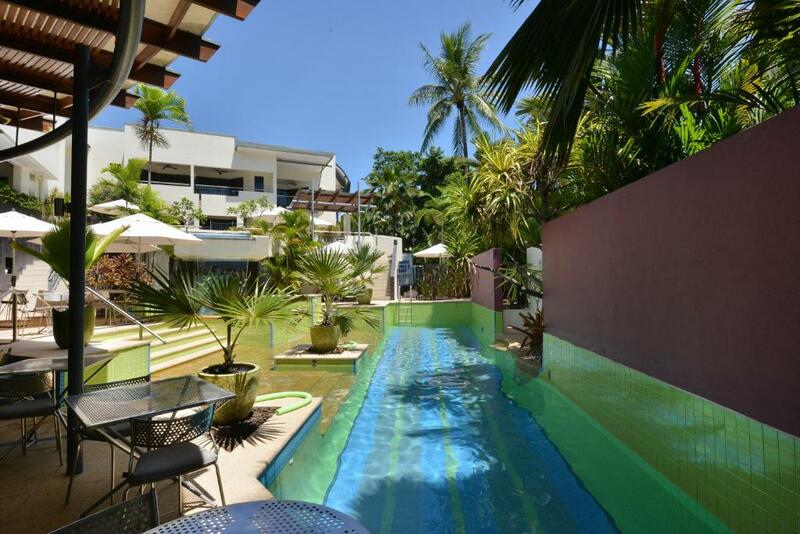 Location, so close to the beach and the shops but still nice and quiet. The cafe out the front was well run with friendly staff. Room was clean and spacious and comfy, loved that our deck led straight out to the pool. Spacious apartment well set up. Comfortable bed. Very pleasant and efficient staff. A compact but very comfortable apartment. Lovely balcony and pool view. 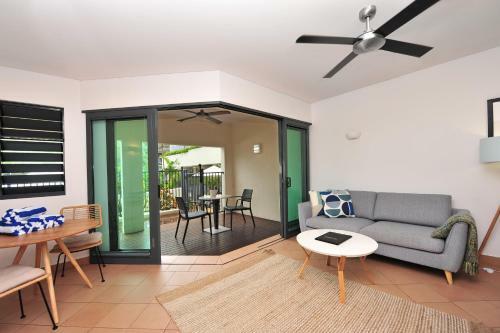 At the quietest end of Maccrosan Street, across the road from Four Mile Beach - ideal location! Well equipped - impressive kettle and toaster!! Full use of hotel facilities and even though we were not technically hotel guests, the staff were welcoming and helpful. 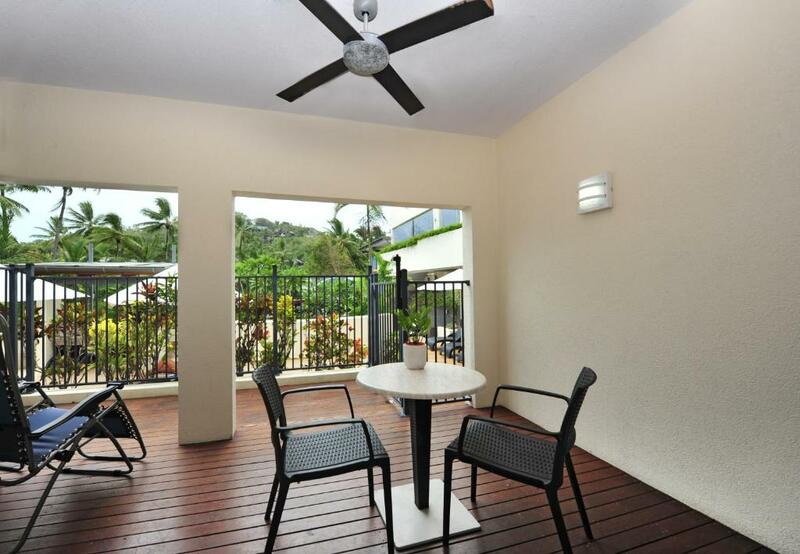 Port Douglas is a relaxed laid back resort - well positioned to explore the area. 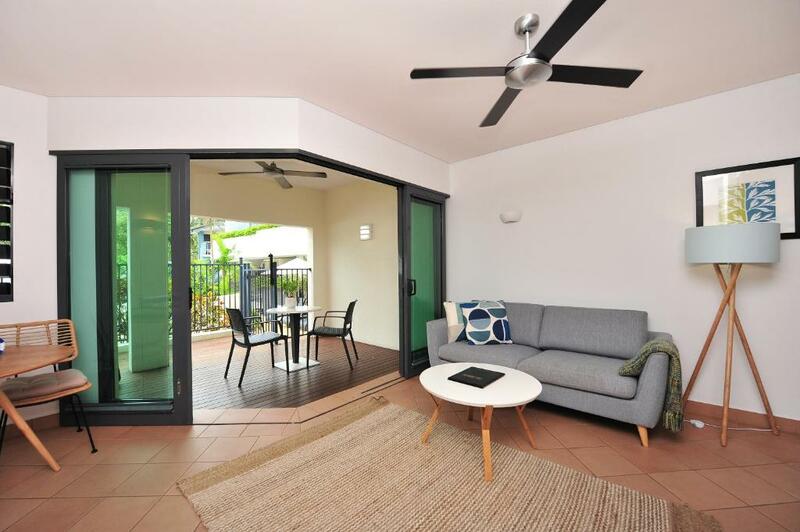 Friendly property manager, pleasant staff and great aircon. Great location to restaurants, and beaches. Comfortable beds, excellent kitchenette, terrace etc. On site restaurant one of 3 superior restaurants in entire Port Douglas. Service exceptional. 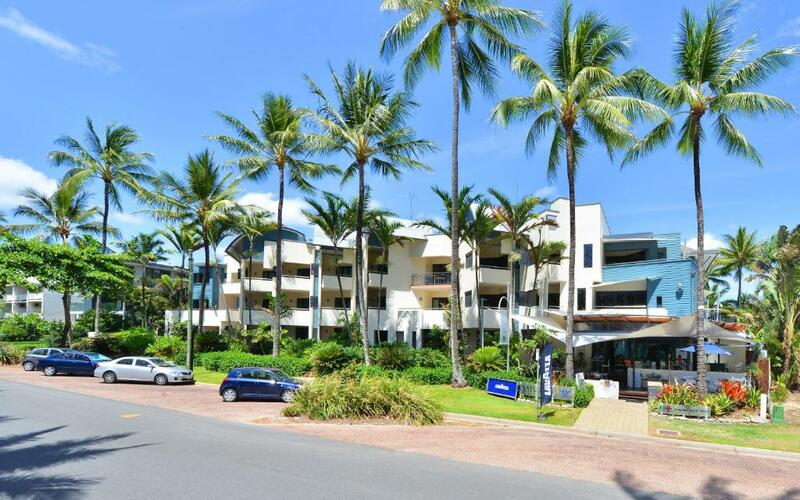 Lock in a great price for Seascape Holidays - The Peninsula Apartments (Adults Only) – rated 8.9 by recent guests! 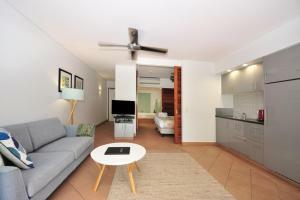 At The Peninsula Apartments guests can sit by the pool or walk across the road to Four Mile Beach for a day in the sun. For your relaxation the property also offers a hot tub. Centrally located in Port Douglas, the self-contained apartments are 8 minutes’ drive from Rainforest Habitat Wildlife Sanctuary. Cairns Airport is a 1-hour drive away. All adult only accommodations have a private balcony with either pool or sea views. A fully equipped kitchen with a coffee machine and a seating area with a flat-screen TV are also provided. Some apartments have spa baths. 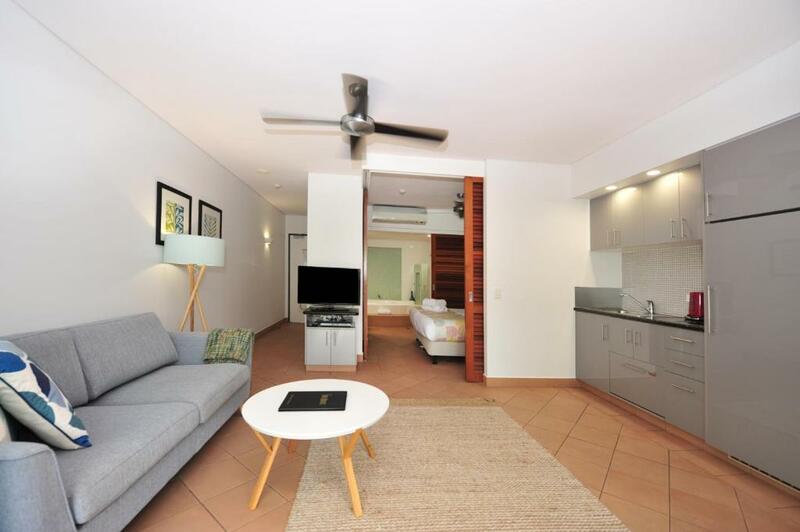 When would you like to stay at Seascape Holidays - The Peninsula Apartments (Adults Only)? This apartment features a bathroom with a spa bath and a shower. It also includes a balcony with pool views. 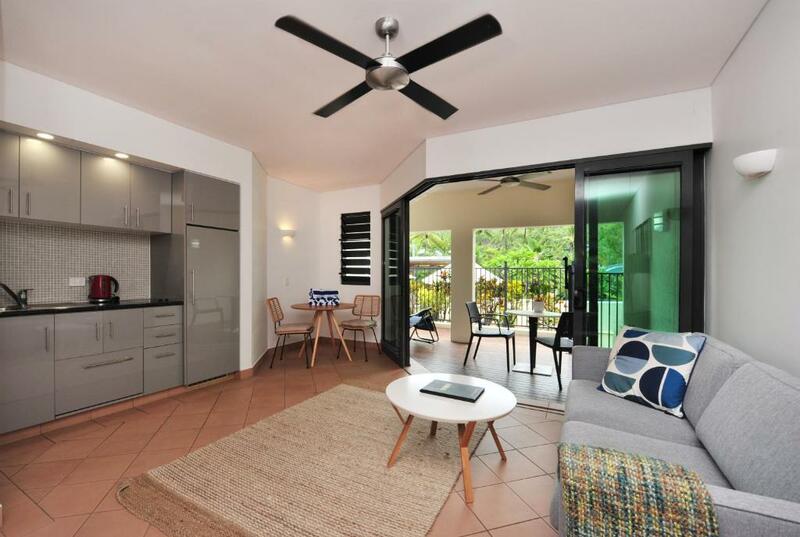 These 1 bedroom, 1 bathroom apartments are ideally located on the Esplanade of Port Douglas, only footsteps away from the famous 4 mile beach and around the corner from all the restaurants and shops on Macrossan street. These spacious rooms are great for a couples get away, or time to relax on your own. 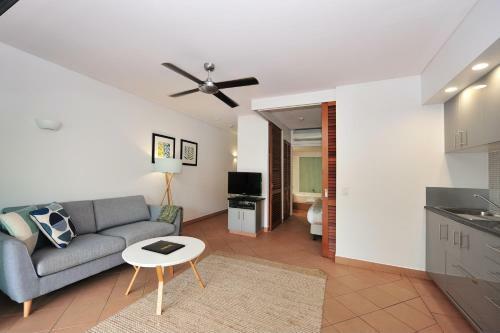 They are equipped with a kitchenette, full bathroom and a separate living area. 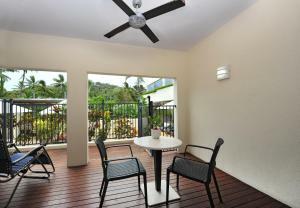 Their balconies look out onto the complex's pool and the lovely hills of Port Douglas. The complex, being adults only, is very quiet and relaxing. With a restaurant downstairs you won't need to leave. Seascape Holidays offers quality holiday accommodation in and around Port Douglas. 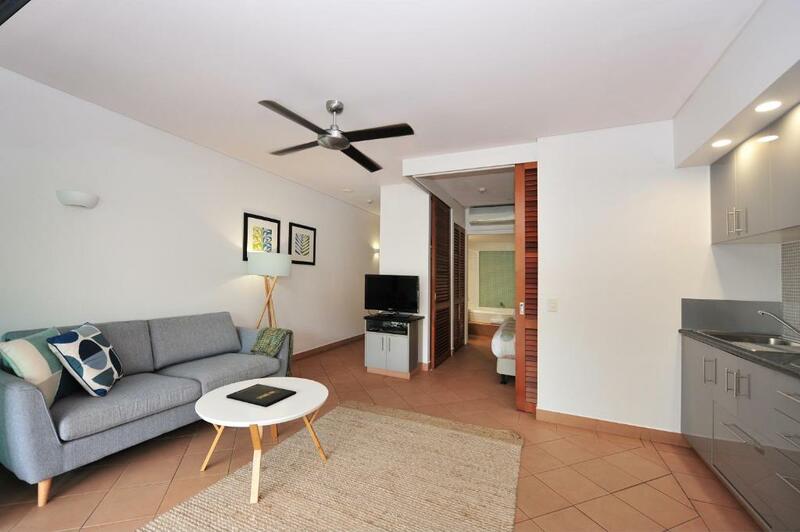 We have a selection of 1, 2 and 3 bedroom apartments, as well as houses for the perfect Port Douglas Holiday. Please feel free to book directly through our web site, or contact us directly and let us help you to plan your perfect getaway in paradise. House Rules Seascape Holidays - The Peninsula Apartments (Adults Only) takes special requests – add in the next step! Seascape Holidays - The Peninsula Apartments (Adults Only) accepts these cards and reserves the right to temporarily hold an amount prior to arrival. Please note that the property will contact you after the reservation is made to provide check-in instructions. The check-in is at different location than the apartment. Please inform Seascape Holidays - The Peninsula Apartments (Adults Only) of your expected arrival time in advance. You can use the Special Requests box when booking, or contact the property directly using the contact details in your confirmation. Room is very small. It is classed as 'one bedroom', but the bedroom is closed off by pulling slatted shutters across, so I don't really class that as a bedroom (as it cannot be completely private - but this is common in a lot of apartments in this area). The information sheet stated that the apartment would be serviced if the stay was 4 nights or more. I stayed for 4 nights and nobody came in to service the apartment or change towels. I did not say anything to hotel staff - because I didn't mind. The room is literally on the pool deck so when you are in the room everyone sub-bathing can look into the room so to get changed you need to close doors or close the blinds. Departure day, will come back again soon!